The proposed Northern Gateway pipeline is a controversial project that has divided communities and provinces. 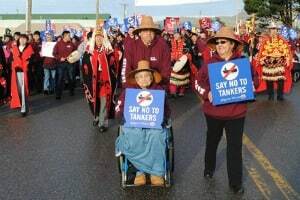 Calgary-based Enbridge wants to build a pipeline that would take crude from the oil sands, across northern British Columbia, and on to the port of Kitimat. After recent oil spills in the Gulf of Mexico and in Michigan, people living along the pipeline route aren't so keen on the project. In this documentary, producer Karin Wells speaks with the people of Hartley Bay, BC, about how the project might change their First Nations community. Originally produced for The Sunday Edition by Karin Wells (more photos).